Chickenfeed is Minette Walters' telling of the ill fated relationship between Norman Thorne and Elsie Cameron. When I first picked up the book, I did not see myself as a member of Minette Walters' target audience, but on completion I found the novella so be quite successful in what it aspires to be. Crime stories may not be for everyone but the book was not in bad taste and realistically could be read by young adults and above. The best compliment I have for this book is that it is an incredibly easy read and I was able to blitz through it in three sittings. Thinking about students that do not have English as a first language, I really would recommend a novella like this. 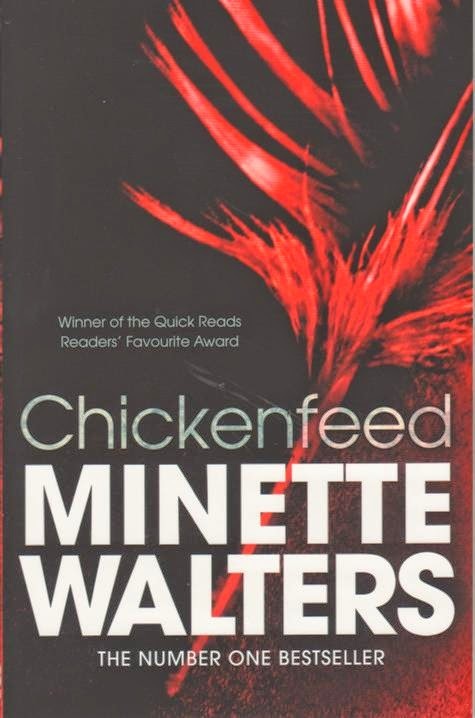 Whether it be in an airport lounge, a long train journey or during a flight, Minette Walters' Chickenfeed is great light entertainment. Review by Avtar Natt, Academic Liaison Librarian.